Auroch Minerals (ASX: AOU) has been quick to experience exploration success at its Alcoutim copper-zinc project located in Portugal. The second hole of a five-hole drilling program has intersected the Volcanic Sedimentary Complex (VSC) sequence of altered and brecciated volcanic rocks that are host to The Volcanic Hosted Massive Sulphide (VMS) style mineralisation throughout the Iberian Pyrite Belt. This is an important development given the company is targeting electromagnetic conductors along the Neves Corvo geological trend, in particular those that lie along strike of the supergiant Neves Corvo copper-zinc-lead-silver-gold mine operated by Lundin Mining Corporation. 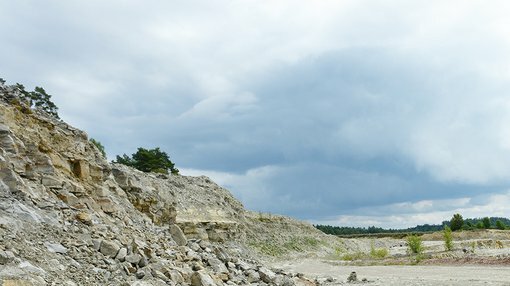 The volcanic rocks that comprise the VSC are an integral part of the belt-wide mineralising event that emplaced the orebodies. AOU explained that the volcanic activity provides the heat to drive the fluid flow which creates a VMS. Consequently, locating a volcanic rich package is an important step in locating mineralisation. It should be noted, however, that this is an early stage play and investors should seek professional financial advice if considering this stock for their portfolio. The current target was selected on the basis of geological and geophysical targeting, including historic electromagnetic conductors and positioning relevant to the Neves Corvo trend. The drillhole will continue to explore through the VSC for at least another 200 to 300 metres to investigate the deeper geology of the target zone. AOU noted that the VMS mineralisation is typically towards the top of the VSC at the nearby Nevis Corvo mine, but this is not always the case, and economic ore deposits within the Iberian Pyrite Belt occur throughout the VSC in basalts, rhyolites and shales. 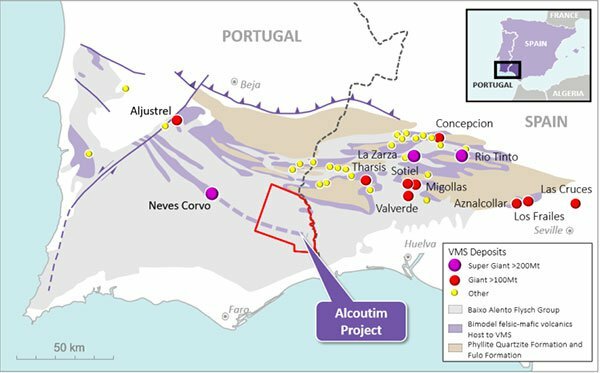 Commenting on this development, AOU’s Chief Executive, Doctor Andrew Tunks said, “This is a crucial step forward in our exploration for a VMS deposit in Portugal as all mineralisation throughout the Iberian Pyrite Belt is confined to the VSC unit, and intersecting the target unit in drilling allows the exploration team to use a host of techniques including geophysics and geochemistry to vector towards an orebody”. AOU is in a strong financial position with $7.3 million in cash, receivables and a loan to Bolt Resources (holder of the Alcoutim copper-zinc license). These funds will be employed in the process of exploring a total of 22 potential VMS targets that have been identified by integrating geology and geophysics throughout the large Alcoutim license area. Through the expenditure of $1.4 million in exploration activities, AOU earns a 65% interest in the Alcoutim project. The company has the right, but not the obligation, to earn a further 10% by spending a further $1.25 million.